First of all we would like take a minute and thank all the men and women who protect our freedom each and everyday. We would also like to thank those that have served because without you our country could not be free to worship, talk, write, or blog and the list goes on. Thank you! Today I found all the empty pill containers in the house. Going to take them to SICSA one day this week. They use the empty containers to put the puppy and kitty meds in. So if you take meds save the empty containers and give them to your local animal adoption facility. This entry was tagged 365, blog, fun, giving back, kid friendly, laugh, Mr. 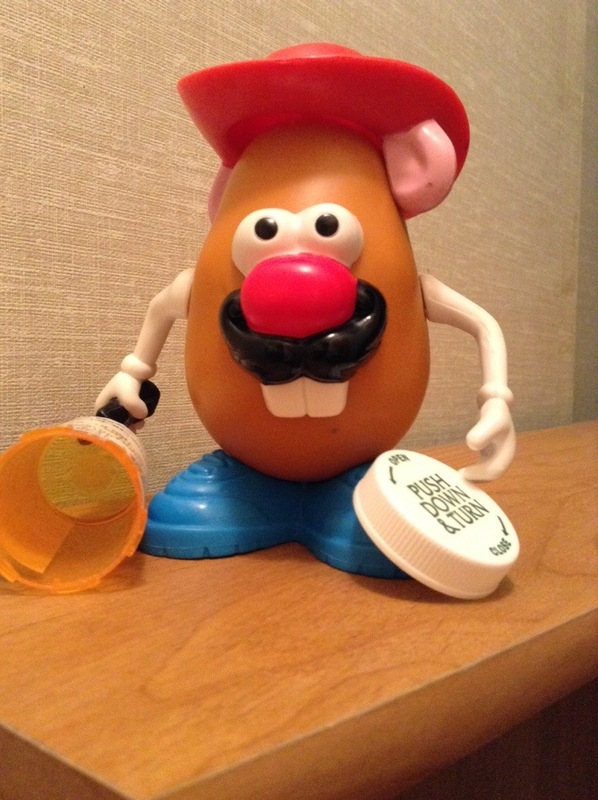 Potato Head, picture a day, pill containers, vetrens day. Bookmark the permalink.